Hi everyone! 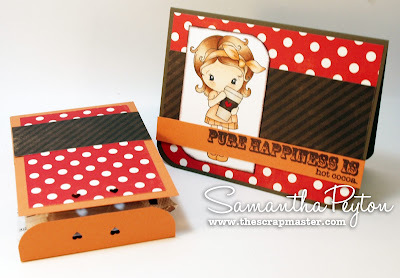 Samantha here and I want to share the little treat box & matching card I made for my husband for this past Valentine's Day. 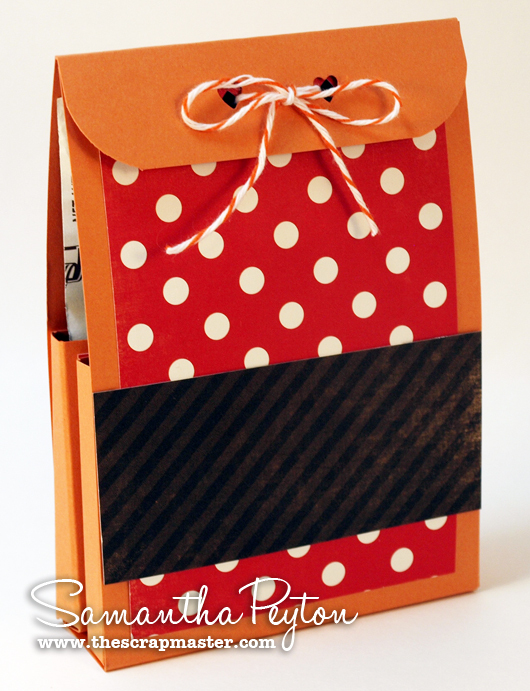 I think this would be a perfect little anytime treat box to share with a friend, family member, neighbor, etc. (Scoring guides are at the very end of this post if you need a visual of the scoring). Score along the 12 inch piece at the following: 5inch, 6inch, 11inch. Fold along score lines. 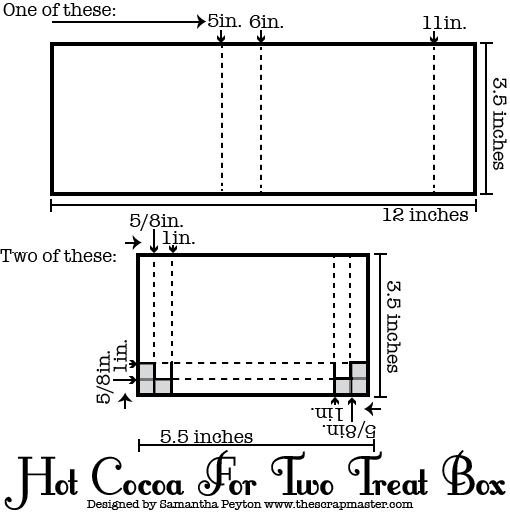 This piece will be the outside of the treat box. The outside of the treat box can be decorated as desired. For both of the smaller pieces: Score along 3 sides (two sets of score marks on the 5.5inch side) at 5/8inch and 1inch. 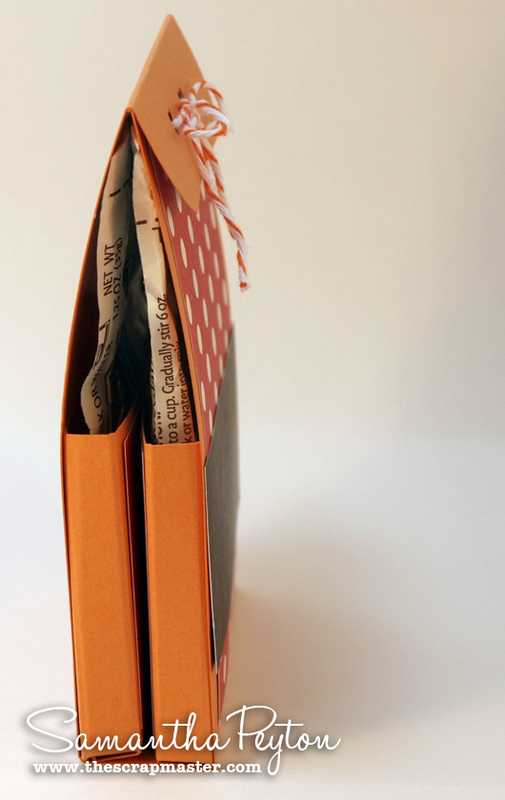 Trim off the corners where all the score marks cross and fold into 3sided "pockets". 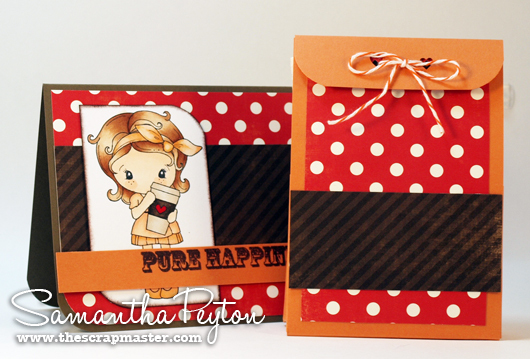 The front of these can be decorated with patterned paper like shown (patterned paper was cut to 3.25X2.25inches). Attach pockets to box. Punch holes for twine. 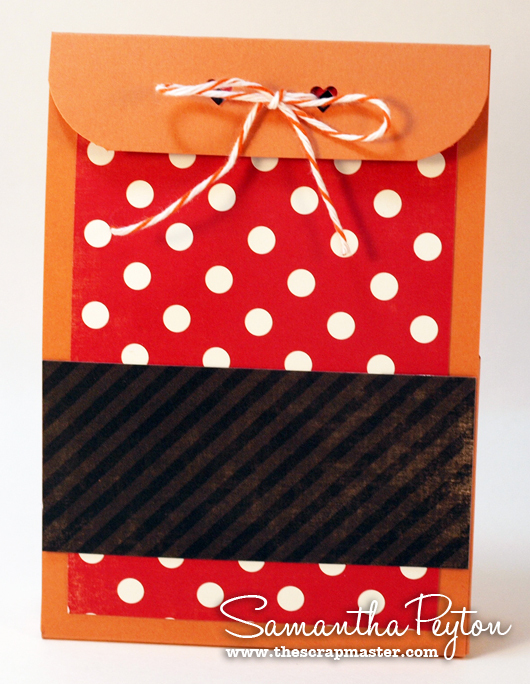 Fill with hot cocoa packets and tie the box closed with the Orange Divine Twine. Here is a closer look at my coloring. 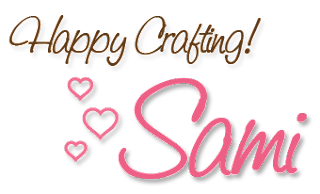 I used this adorable image from CC Designs called Kiki La Rue Latte. Dotted lines are score lines and arrows indicate which direction you start scoring from. Solid lines are cuts. The grey parts are cut away. Samantha - Oh my this is SO super cute! 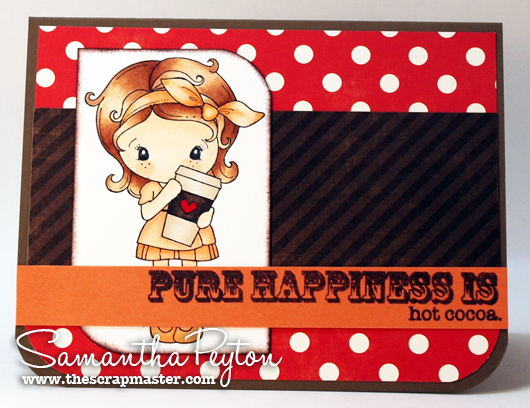 I love how you've colored your sweet image in soft soft colors - and this cocoa holder is adorable - I'm going to make this!! Love it! very cute. 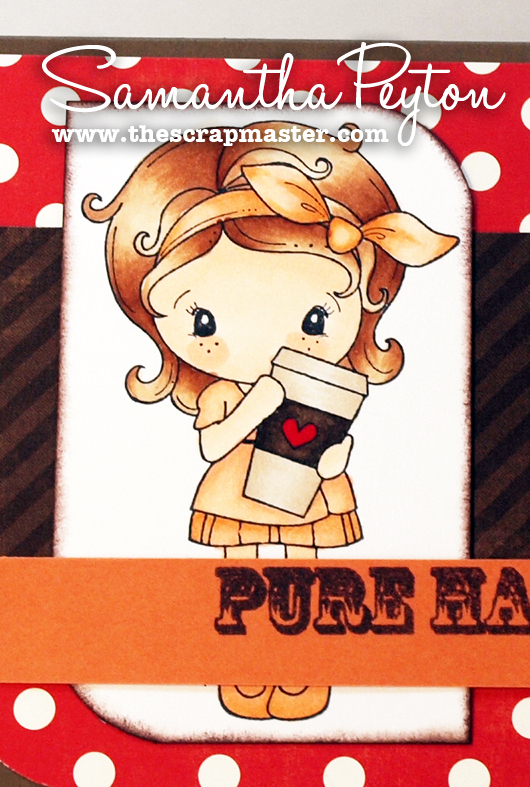 I love that stamp!!! I love this!! Thanks for the picture of the scoring guides - that is so helpful! What a super super cute gift idea! Thank you for the how-to and scorelines! So awesome! What a wonderful tutorial! Your coloring is great and instructions look so easy to follow! What a greg project! The image is just adorable!